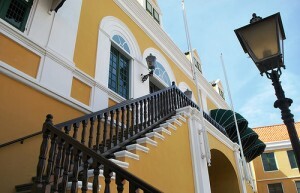 WILLEMSTAD - The government formation has stranded. This is according to credible sources close to the negotiating parties. The stumbling block is the distribution of ministerial posts between the parties MAN, PAR, PNP and Pueblo Soberano (PS). The latter would continue to adhere to their demand of two ministerial posts. The other three parties now want to quickly discuss how to proceed. Formateur Kenneth Gijsbertha gave the parties until Monday the time to find a solution; He has already indicated that he wants to submit his report to the Governor on Monday. These last days of the week the negotiating parties were trying to distribute the ministerial posts but to no avail. The problem is that there are nine ministerial posts for four parties. MAN and PAR each have four seats in parliament and they want three ministers each. Three ministerial posts remain for the other two parties, PNP and PS. One of the options presented yesterday was that PNP would get two and PS one. The PS does not agree with this and wants two. The formateur tried to break the deadlock. The post of President of Parliament was offered to PS as a solution. But that did not seem successful.